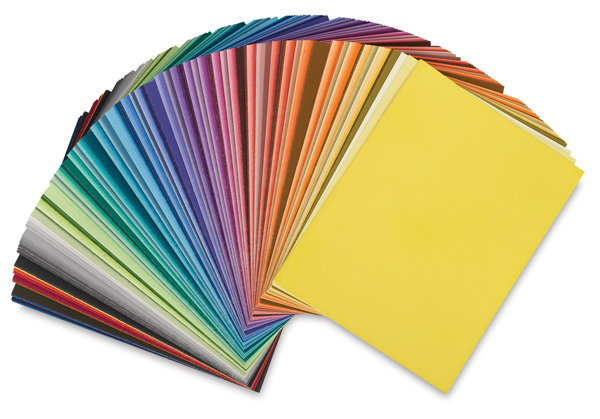 Swatch book of 220 or 314 hues, tints, shades for exacting color layouts, stage-studio sets, mock-ups, collage, paper sculpture. Their wrinkle-proof, velvety matte surface is washable and non-bleeding. Color-aid Papers are acid-free. 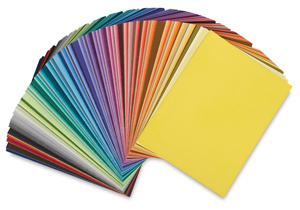 These packages contain one each of 220 different Color-aid papers. ® Color-aid is a registered trademark.